I was dissuaded by the discouraging responses from adults to my lofty aspiration though, and it took me quite a few years to really start writing seriously. I’m finally getting some books out into the world, and though it’s been tough, financially, emotionally, testing my dedication and ego, I’m slowly building up a penned library of books, from City of Town to Tome of Victims to The Covenant, and I already have another book done (unpublished currently) in a new series that I’ll be writing. I hope to reach a lot of people out there with my writing. Growing up, reading shaped who I am today. It helped me to become a better person: more understanding, patient, and thoughtful. What precious gifts books can bestow us with. If I can provide that to others, my goal will have been achieved. Where did you get the idea for this book?/What made you want to write it? I actually wrote a short story (the foundation material for what would later become Tome of Victims) for a grad school application. The program only accepted 10 students per year, and I didn’t get in, so I had this pretty good short story on my hands. I worked it into a novella length story and saw potential in perhaps making it the beginnings of a series. After publishing Tome of Victims earlier this year, I made a goal to publish the first novel-length book in the series before the year was through. I wrote it in half that time (a little less than three months to be exact). I really got taken up with the story I guess. What made writing this book different than writing your last book(novella)? Novellas are interesting forms of writing. I guess I view them as a hybrid of short story and novels. Open endings that make your reader think are acceptable in short stories, not so much in novels, and so with my novella, I left the ending quite open, mainly to set the stage for the following books. I didn’t leave curtains open with the ending of this book though. The actors take a bow and the curtains shut, giving the reader a sense of completion. That’s hard to do—making a coherent and satisfying ending I mean. Even though there will be another book in the series after The Covenant, I feel that a reader could read this book without touching the other books in the series and still be satisfied with the read, not feeling like they’re missing something. 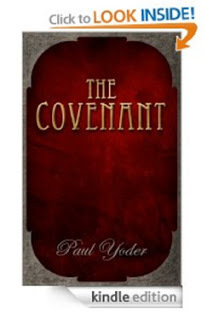 Is there anything else you would like readers to know about The Covenant? I discuss religion moderately throughout the book (due to the setting being mostly in a devil-worshiping cultist hideout), and there are some violent set pieces—but I don’t think that should scare anyone off. I treat both subjects respectably. I don’t feel the violence is overdone, and as far as discussing religion goes, I understand that everyone looks at religion in a different light, and I worked very hard to make sure I don’t offend anyone’s sensibilities on the subject. The story, in the end, is really about two people dealing with the world around them, and figuring it out for themselves—each coming to their own conclusions about life. Want to be friends with my friend? 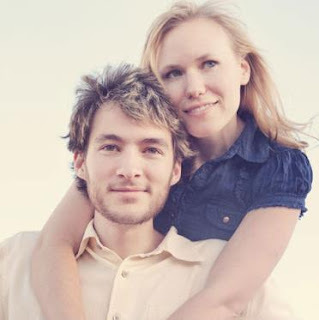 Follow Paul on his blog or on Facebook. Get The Covenant here! Don't forget to leave a review. Thanks so much for doing a whole post on my recent book Kami! Loved it! If anyone is interested in asking me questions about the book, feel free to do just that. I’ll answer as best I can. Glad to help! I contributed to the book bomb and hope others did as well. Hi Kami - Thanks for following my blog! Isn't it fun to see your writer friends become successful? All the best to Paul and Covenant! Thanks so much you two! I think the book bomb went well. Really appreciate the kind words and good wishes.